No Ordinary Day: Hey techies, grab my QR! 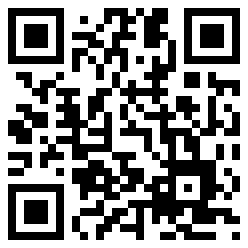 Hey techies, grab my QR! a brand new QR code! Well, duh, something like a bar code but with more info. And they're all over the place. and it takes you places. Here's mine. Don't it look purdy? I should make some jewelry with this!!! Guess where that takes you (hee hee)! Go on, scan it! get the lowdown on it right here. Yup, all gibberish! Read the explanation, made my own code, still don't get it. Will we have to carry bar screening machines everywhere with us? Haha! :) No! You don't need to carry any bar screening machines. Most of the new mobile phones have this feature in-built within them. And if you'll haven't noticed, QR codes have been around for sometime. It's just that its taking more traction now because of the feature being added to mobile phones and being heavily advertised in some places.